A few weeks back, we shared a call to action in defense of Cityplan. The weeks leading up to that post and the weeks since have been a blur of activity- conversations with city council, city staff, within our advocacy committee, and coalition partners. We received word late that week that the effort paid off and that the Cityplan project budget has been significantly restored (final figures still to be determined), and that a focus on equity will be prioritized. This is a pretty significant win for the future of Fort Collins. As I mentioned in the previous post, the last city plan update (2011) does not include the word equity or equality, and makes only glancing references to social inclusion. In the intervening years, its become increasingly clear that without equity and inclusion as bedrock principles of our comprehensive plan, we are compromising our future as a region by limiting the the voices, values and needs that inform this plan’s design. And that means limiting who it serves. Whether you are committed to the triple bottom line approach to sustainability (balancing economic, social and environmental health and justice), or sharply focused on one or another dimension of our resilience, or you just want to ensure Fort Collins stays safe for kids to explore, affordable for working families to work and live, and convenient and inclusive for seniors to age in place, city plan is a conversation and process that shapes the way our city grows, how we build, and most importantly, how we move and connect to eachother and to opportunity. Over the next year and a half, the city and its partners- including Bike Fort Collins and many others- will convene a community-wide conversation about Cityplan. 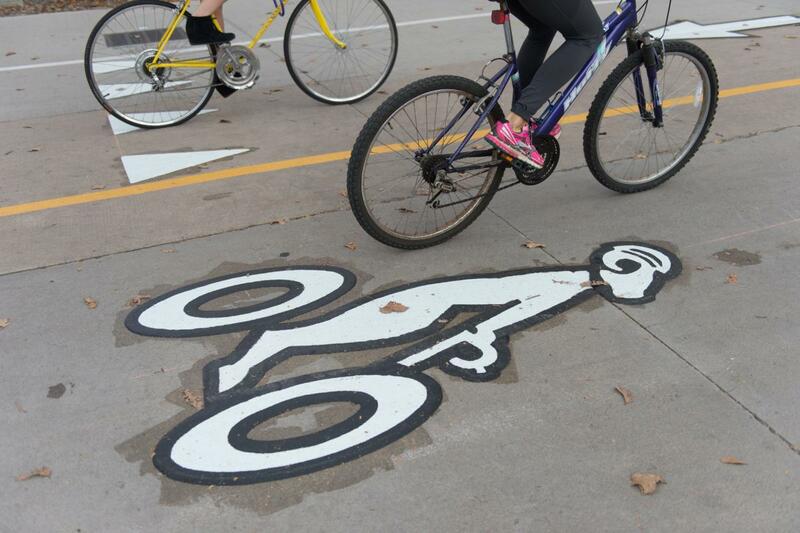 The city has a signup list, to keep folks informed about the process, and starting next month, Bike Fort Collins will host a series of info and work sessions, designed to empower and engage neighborhood leaders to make sure that Cityplan includes voices promoting active transportation, and diverse, walkable neighborhoods. This will be an opportunity to both learn from experts, inform our leaders priorities, and have conversations with neighbors about how to align our policies and budgets with a vision of a healthy, safe and sustainable future for Fort Collins. Thanks to everyone who called or wrote city council to fight for a more inclusive Cityplan. If you attended the Stadium open house or even just saw the pics on social media, you know that bikes and transit are a big part of the plan to get people into and out of the stadium as efficiently as possible. However you feel about the new stadium, one thing is true- the new location makes it much more accessible for biking, walking, and transit use, and we are working with CSU to encourage as many folks to use active transportation as possible. To that end we’ll be on the ground on opening day, Aug 26th, and we’d love some volunteers to help things flow smoothly. If you’re free for a few hours before kickoff and want to be a rolling ambassador and help direct folks to preferred bike parking, suggest routes, etc, we’ve got a volunteer signup sheet. We’re still hammering out some details with CSU, but we expect that this will be a great benefit for Bike Fort Collins, and there could be some cool schwag and rewards for volunteering as well. On Sunday, don’t miss the 3 Forks Progressive Farm Dinner. This is a shorter, casual progressive farm dinner where you’ll enjoy multiple dinner courses at urban farms in Fort Collins. Click here to purchase tickets to either the Tour de Farm on Saturday or 3 Forks Dinner on Sunday. If that wasn’t enough, we;re just THREE weeks away from 2017 Tour de Fat. A lot is changing at TdF this year, but one thing that will never change is the ALL HANDS ON DECK community support needed to pull it off. Tour de Fat is practically an official city holiday in Fort Collins and if you love bikes and love the work that our great bike nonprofits like Bike Fort Collins, Overland Mountain Bike Club, the Fort Collins Bicycle Co-op and Ciclismo Youth Foundation do to make this the best place in the word to ride, we could use your help. Its a super fun way to support bikes and have a blast doing it. Sign up to volunteer NOW. (rumor has it they throw a killer volunteer appreciation party, too).